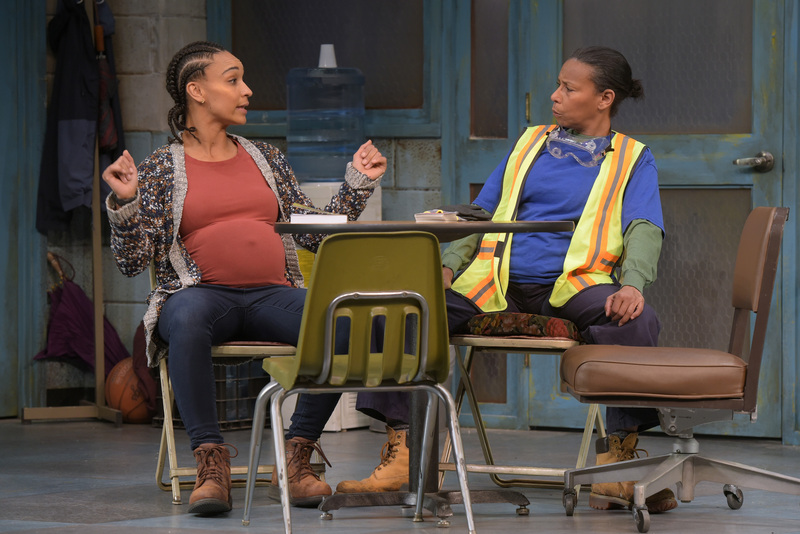 Proof, one of the longest running Broadway play, and winner of Tony award for Best Play and the Pulitzer Prize for Drama, is into its last week at www.theatreworks.org . Don’t miss the last chance to see this play at Theatreworks, a nationally acclaimed theatre of Silicon Valley. 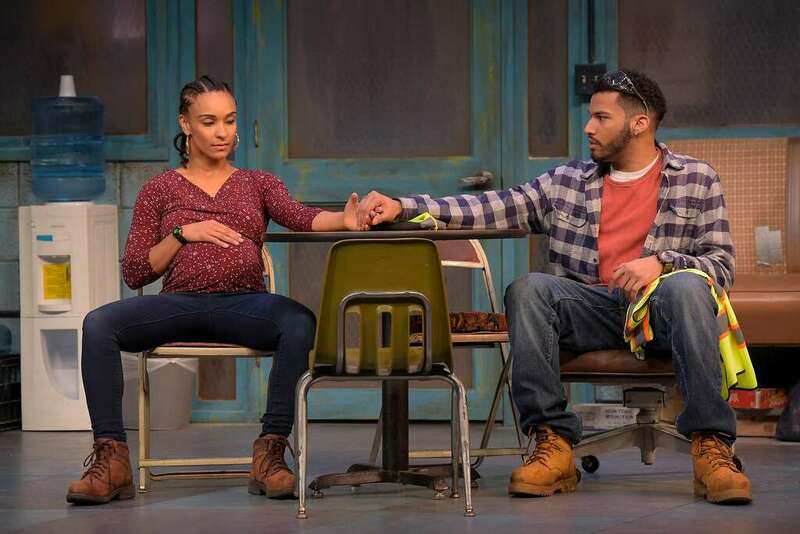 Under the helm of Artistic Director, Robert Kelley, Theatreworks has hosted world and regional premieres and has brought bold and diverse performances and Proof is no exception. Proof by David Auburn, directed by Leslie Martinson, is emotionally intense and intellectually stimulating. Catherine (Michelle Beck) had been the caretaker of her late father, Robert (L. Peter Callander), who was once a brilliant and revolutionary mathematician but had lost his mind in his later years. Flash-back conversations between father and daughter are witty and stimulating. Catherine has spent some exhausting years caring for her father and upon his passing away, is engulfed in intense grief, when her bossy sister Claire (Ashley Bryant) shows up. Meanwhile, their father’s former student, Hal (Lance Gardner) seeks Catherine’s permission to look through her father’s notebooks, in the hope of finding some complex math solutions that Robert might have worked on during his lucid phases. Hal wants to unearth any legacy that Robert may have left behind, that may the potential to alter the field of mathematics forever. When Catherine points Hal to a notebook that lays out the complex “proof” for unsolvable and hugely complex math problem, Hal is astounded by the marvelously cogent way it is laid out. Hal and Claire immediately jump to the conclusion that it is the work of Robert, presumably done when he was in sound mind. Despite Catherine’s insistence that she was the author of this mathematical solution, they refuse to believe her and demand “proof” that she was the author. Interwoven in Claire’s refusal to accept that the mathematical proof was written by her brilliant sister Catherine, is their conflicting sibling relationship. Claire is not as bright as Catherine, but she holds it together, she is the elder sister, she is the practical one, and she has come to settle the property issues, sell the house, and take Catherine with her to Chicago, where she can keep an eye on her younger sister. Catherine, on the other hand, put her dreams of going to college on hold as she took care of her dying father. Catherine is intellectually brilliant and yet she is mentally fragile. Claire refuses to believe that her mentally fragile younger sibling could have worked on highly elegant math solution. There is a clash between the concept of accepted idea of intelligence, as being practical, holding life together, and making rational decisions, with that of pure genius, mathematical wit, and search for comfort in the elegance of numbers. Embedded in Hal’s refusal to accept that Catherine is the author of the cogent and elegant math solution, is Hal’s notion about women’s capability and his stereotypes about gender. Catherine and Hal have a complex relationship. On one hand, their flirtation could have lead to something deeper, whereas at one point, it seems that any chance of deeper ties forged by their mutual love for numbers, may be permanently marred by Hal’s refusal to believe that Catherine could have written the “proof” . As Hal and Claire demand “proof” from Catherine that would show beyond a shadow of doubt that she is the author of the mathematical “proof”, the contrast between inductive, objective, logical, mathematical proof and the subjective proof that rests on believing the person one loves along with a certain leap of faith, is sharply evident. Proof is running till November 1 and six more shows are remaining. Buy your tickets at www.theatreworks.org .